Even if you’re not a Hollywood director or a full time videographer, the art of film can still play a big part of your life. If you’re interested documenting the passage of time or you simply enjoy it as a hobby, video stays with you through the years. If you’re like Franz Frohner, you arrive at retirement with countless videos in your collection and a huge library that you’ve shot over the years. Everything from wedding videos to work videos to dozens of hours of holiday footage that is waiting to be converted, edited and brought to the screen. Now age 66, Franz Frohner is enjoying retirement in the beautiful Austrian city of Perchtoldsdorf - a short tram ride from cultural and political capital of Vienna. Itself rich in theatre, music and food. A technically-minded guy, Franz has spent the majority of his career working for a bank as IT-security technical advisor and he’s always loved working with electronics both new and old. “I know how to repair a ‘punch-tape-reader’ if you know what that is.” He smiles. Indeed. Everyone knows that a ‘punch tape’ is an early form of data storage utilising strips of paper ribbon perforated with holes. (Thanks Google). It’s interesting to wonder how much paper would be required to capture a minute of 8bit video footage from today’s cameras. Franz might know. Besides electronics, he has long been drawn to video both from his electro-technical interests and as a creative outlet. Beginning in 1974 with the birth of his daughter, Franz began capturing film without sound on a Super8 camera. Through the years, he’s worked on a huge variety of video pursuits. He’s made company training films for the bank ranging from IT security videos to health and safety videos. His son is a music director and he’s covered many musical performances with a team of 3 camera operators. He’s also done many wedding videos, which he produced solo, utilising up to 5 cameras simultaneously. And of course, there’s a lifetime of family holiday documentaries – including what Franz calls an “underwater documentary”, which sounds particularly immersive. In the process, he amassed a huge variety of footage captured across a wide range of devices and formats. From S8 he transitioned to VHS, Hi8, Mini DV, Canon HD, Panasonic 3SSD and eventually to today’s fully modern digital cameras including the GoPro Hero family. That’s quite a range of medias, formats, cameras and content. This is that happens when you spend over 40 years capturing moving pictures. You end up with a conglomeration of content – both analogue and digital - that needs to be transposed, converted and preserved. Luckily, if there’s someone who knows how to put electronics to work, it’s Franz Frohner. He’s in the process of doing just that, even building his own devices to help capture and convert his content. Please download the file: MP4. When it comes to converting movies, Franz is a real MacGyver of video. He uses all the tricks in the toolbox to get his footage looking consistent across the years. 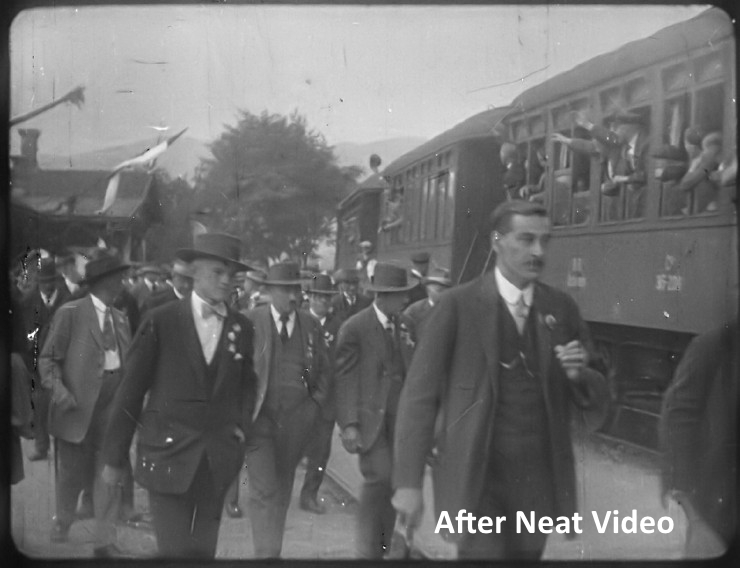 One of those tools of course, is Neat Video, which assists to clean up older footage and also helps remove noise and scratches – especially from archive film. Across the world there are many thousands of people who have made video a part of their experience throughout every episode of life. Who knows how many millions of hours of life events now sit in film reels, VHS tapes, D cassettes and hard drives. For those who have accumulated these treasure troves, creating these movies of your life is often a truly all-consuming act of nostalgia and remembrance that bring those times back to life. That’s how it is for Franz, who’s retirement plans are filled with film as he puts together the backlog of holiday videos starting from 1998. “We have been on holiday every 1 or 2 years so there are many more in the queue.” He says. Thanks for sharing, Franz. For the rest of us, the question is: what are you doing with the movies of your life?